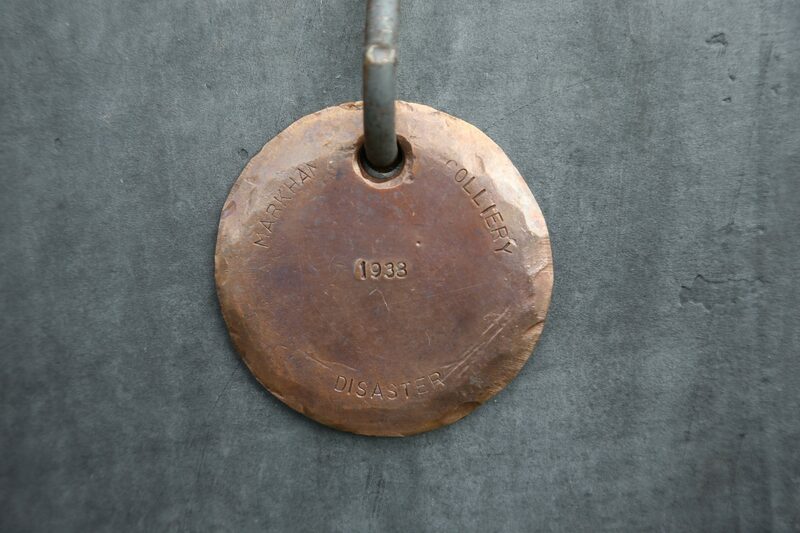 Walking Together Memorial - 1938 Miner's Tag. Thomas George Yates was born in January 1900 in Brimington in Derbyshire. His parents were Thomas George Yates (1878 – 1960) and Isaline Bagshaw (1877 – 1923). Thomas George was a few months old when the 1901 Census was taken. The family were living in Brimington Common and his father was working as a coal miner. On the 1911 Census, Thomas George was 11 years and attending a local school. They were living at 164 South Moor Road in Brimington. His father was still working as a coal miner – hewer. 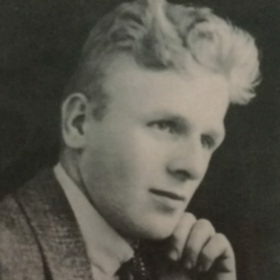 Thomas George, married Gladys Smith in March 1919, when he was nineteen years of age. Gladys was slightly older. They had five children: Elsie, Alan, George, Ronald and Harold. Thomas George was 38 year old at the time of the disaster in 1938 and was living at 5 Poolsbrook Cottages in Poolsbrook. He was employed as a timber drawer. He was buried in Brimington Cemetery on 14 May 1938. “Treasured memories of a dear husband and father/ What would I give to see his face/ And see him smile again:/ Never will his memory fade/ While our love does still remain”. From Wife and Family. Poolsbrook. “We’ve been lonely since he left us/ Home has never been the same/ All this world would be like heaven/ To have our father back again”. From the boys .